For three years now, students in Coach Phillip Hardy’s third-level healthcare class have been volunteering at Star Manor Hospice Care, an assisted living facility located in central Cartersville. They have staff on hand twenty-four hours a day in case of emergency. Twelve students walk to the care center during second period every Thursday morning. Hardy explains that students get real world experience in a healthcare setting that “can’t [be] delivered in the classroom.” While students cannot have hands-on patient therapeutic contact, they can play games, take menus, paint nails, help with food, and be companions. This past week, October 26th, the volunteers painted pumpkins with Star Manor patients in preparation for Halloween. Hardy’s students sign up for the program for a variety of reasons, from volunteer hours, to college applications, to the simple joy of serving others. 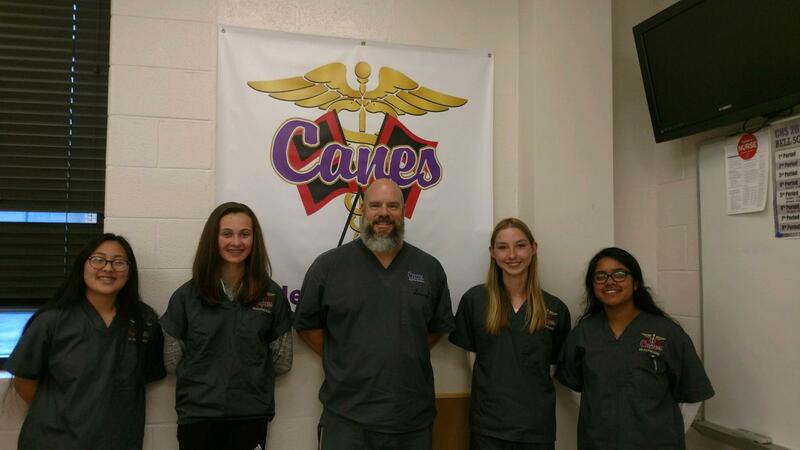 Hardy is excited that this opportunity is yet another way Cartersville High’s CTAE program puts students in real-world settings to help others. Abigail Milian (Junior) is just one of the kids to take part in this opportunity. “It’s going to help me in the future; it gives me an opportunity to work hands on in the healthcare field.” Abigail and other students love going to Star Manor to support the patients and help in any way they can. “It’s just something new every day, that’s what makes it great.” Abigail appreciates how the visits enhance her healthcare skills and encourages others to volunteer next year.